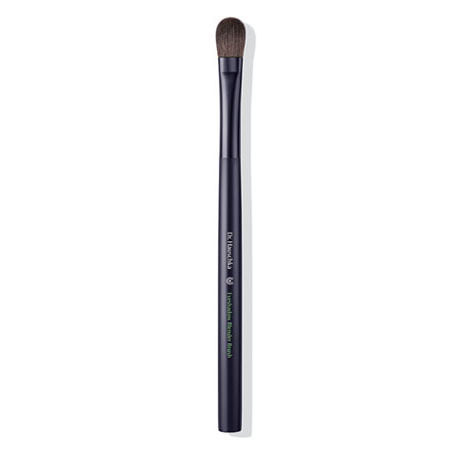 This large, rounded brush is ideal for even application and shading with the Eyeshadow. The light, synthetic hairs enable a particularly intensive use of color. At first I thought it was big but now that I use it I love the brush it puts the eye shadow on just right. Necessary Eyeshadow Blender Brush! Soft and perfect size. I'm very happy with this eye shadow blender brush. It does a great job blending eye shadow evenly. I love that it comes with instructions on how to clean the brush. Receive complimentary shipping with any $50 purchase or more excluding taxes, shipping, and sale items. 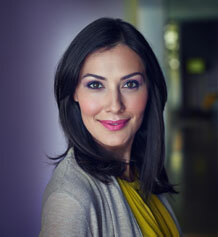 Enjoy make-up tips from our international make-up artist plus discover all about the products and the various looks. Press the Eyeshadow onto the eyelid and blend both outward and toward the eyebrow. Cleaning: wash brush hairs under warm water, creating a gentle lather with a little Dr. Hauschka Body Wash. Rinse well. Finally, gently squeeze out the brush, carefully stroking it back into shape. Place on a hand towel and leave to dry at room temperature.